Up until now the entire 2K Project has been played on regular XBOX. 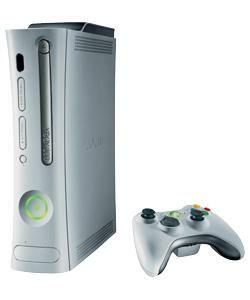 2K3,2K4,2K5 & 2K6 were all played on the same XBOX. 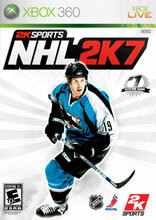 That XBOX began to have some issues from so many seasons of NHL2K so a used XBOX was purchased for NHL2K7. This summer I purchased an XBOX 360 and have just now sent away for the 360 version on NHL2K7. It looks like 2K Project will be joining the next-gen wave and season 48 will be played on the 360. The XBOX brought us so far but the 360 is the future. I look forward to many many more years of NHL2K on my new 360. Donald Lockhart has made the original default roster for NHL2K, and appears as a 20 year- old defenseman on the Calgary Flames. Donald Lockhart was the very first rookie acquired from the NHL entry draft in franchise mode for 2K Project (NHL2K3). Lockhart is the most important player in 2K Project history due to the fact that 2K project probably would have never started if it wasn't for him being drafted in the game in the first place. Lockhart leads the all- time list in goals as well as being 2nd all-time in assists and 2nd all- time in points. Donald Lockhart played in 28 NHL seasons for 5 team in 2K Project racking up 1,169 goals, 1515 assists for 2,684 career points and is 2nd to only Wayne Gretzky for all-time points leader. 2K project wants to send a big thanks out to Bish at Kush games for adding Donald Lockhart to the roster for 2K6!